Kitchen Room Sets with the Cyan Studios Magic! It takes more than a little imagination to make your kitchen room sets look sensational. But hey, that’s what we do best! 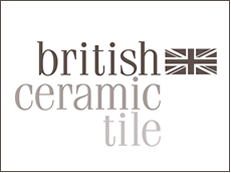 Our team of stylists will bring refreshingly unique ideas that will add a touch of magic to your kitchen or tile product range. Working closely with clients our specialist team have completed a host of engaging marketing image portfolios over the past 15 years. We’re adept at creating stunning backdrops for kitchen manufacturers, wall and floor tile companies and furniture manufacturers. We’ve provided individually styled, unique images for a range of clients who keep coming back for more, using both photography and CGI solutions. A reflection of our original design concepts and excellent customer service? We certainly hope so! 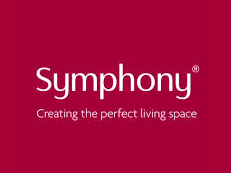 The Symphony Group Plc has worked with Cyan Studios on a regular basis for the past 12 years. During this period Cyan has consistently produced excellent photographs and CGI images for our colour brochures. As Design Project Manager, responsible for all visual imagery, I have found the staff at Cyan Studios pleasant to work with and always keen to make sure that Symphony is completely happy with their work. They are a professional and conscientious company with excellent time management skills. On the creative side they have a very talented and innovative team, comprising photographers, computer visualisers, stylists and set builders, and their attention to detail is second to none. They are able to take direction well but will also use their own initiative when required. I always feel a project is secure in their hands. We are really proud to be Cyans longest standing client! Clearly we think a lot of them. Over the many years we have been working together they have produced some stunning images for us which have helped us to grow our brand within the kitchen and bathroom industry. They always get the balance right producing shots that are both commercial and aspirational. We get some great PR using the shots that Cyan have done for us. Wouldn’t hesitate to recommend. A dedicated team of Project Managers, Photographers, Retouchers, Stylists – Interior Designers, 3D Visualisers – Modellers and Set Builders. The facilities include customer parking, meeting rooms and high-speed wireless internet for visitors. Covering an immense 10,000 square feet, we boast both daylight and blackout studios. Everything is open plan and that enables us to remain completely adaptable to client needs. From model changing and food preparation areas, to our extensive range of props, we have it covered. And it’s this attention to detail that enables us to offer a value-for-money, high-class service. Our commitment to quality means that we only use the best industry recognised camera and lighting equipment. We use the latest ‘Phase One’ software and digital camera chips to capture and enhance our photographs, while our ‘Profoto’ lighting equipment delivers stunning results every time and is commonly regarded by professional photographers as the number one lighting system.